The Carnival in Anguilla is dedicated to celebration of slavery abolishment in 1833. The days of the Carnival are marked with various and unique events and activities, that attract tourists from all over the world to the islands. The most spectacular events fall on Monday and Thursday of the Carnival week. August Thursday is famous for its boat races. The place where the boat race is held is very popular among tourists and locals. Every one can enjoy tasty food and local flavors of ice cream and snow cones. Another famous event of August Thursday is Miss Anguilla Pageant, that is organized in the evening. 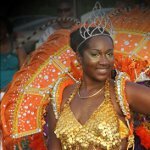 The most beautiful girls of Anguilla participate to become Queen of the Carnival.